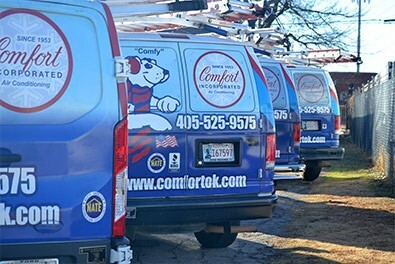 For all of your Oklahoma City, OK indoor air quality needs, Comfort Incorporated is the professional team to call. 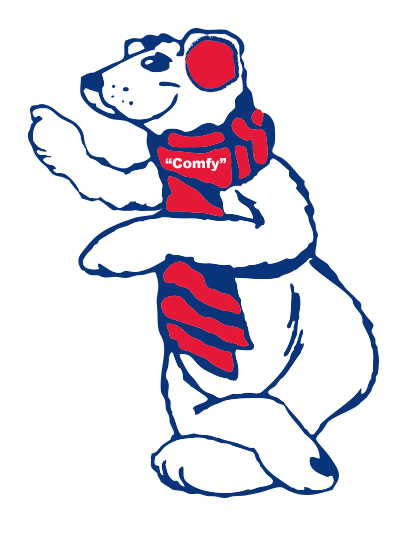 For over 6 decades, our highly trained air quality technicians have been providing superior HVAC service throughout the area. You may be surprised just how much more healthful the right system can make your indoor air. The U.S. Environmental Protection Agency (EPA) actually cites poor indoor air quality as one of the top 5 leading threats to respiratory health, stating that it can be more contaminated than the air outdoors—sometimes four or five times more contaminated! Contact us today to learn how the right air quality system can help improve your home’s efficiency and your family’s health. We keep your family safe, healthy and comfortable! The goal of any indoor air quality product is to remove the "stale" feeling from your air that makes your Oklahoma City, OK home uncomfortable for your family and your guests. The most basic way to do this is with a standard air filter. 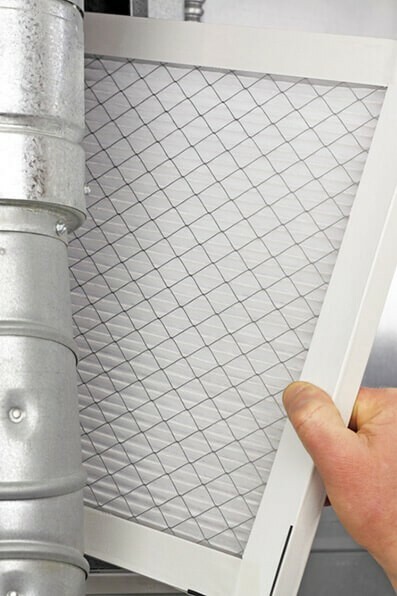 However, this air filter is not actually intended to improve your indoor air. Rather its purpose is to protect the interior of your HVAC system from dirt, dust, and other debris. Therefore, you want to equip your home with more advanced air quality systems: a whole–house dehumidifier and humidifier to balance humidity levels, air filtration systems to eliminate harmful airborne contaminants, and UV germicidal lights to get to the microorganisms hiding in your air ducts. Contact us today to learn more about our products! We understand precisely how important the quality of the air within your Oklahoma City, OK home is to your comfort as well as your health. This is why we offer a wide range of air quality systems and services to go along with them. Air Filtration Systems and Air Purifiers: In order to prevent harmful contaminants from negatively affecting your health, it’s vital that you have a comprehensive air filtration system in place, such as a quality air purifier system. Humidifiers and Dehumidifiers: The relative humidity in your home should be between 30%–50% for maximum comfort and optimal health. Learn more about our humidifiers and dehumidifiers today. Heat and Energy Recovery Ventilators: Tight home construction improves the efficiency of your HVAC systems; however, it doesn’t allow much fresh air into your home. HRVs and ERVs are the solution. UV Germicidal Lights: UV air purifiers tackle what a standard air filtration system can’t quite reach—the harmful bacteria and microorganisms that breed in the cool, dark environment of your ductwork. Carbon Monoxide Testing: Carbon monoxide, which you’ll often see referred to as CO, is a tasteless, colorless, and odorless gas that can make anyone exposed to it very ill. In addition to equipping your home with quality CO detectors, it’s wise to invest in professional carbon monoxide testing once a year. Contact our team to schedule this important service. A good indoor air quality system won’t just help make your home feel more comfortable—it will affect your health as well. The right amount of air filtration and the right humidity levels can make or break the symptoms of allergies and asthma for those who suffer from these ailments. Plus, cleaner and more balanced indoor air decreases the risk of passing illnesses such as the cold and flu, making your whole household healthier as a result. This is particularly a problem during the winter, but one that can be resolved with the right air quality systems!